The development of the health industry in the Philippines has given way to Filipinos learning more about medical supplies and checking Ambu bag cost, for one. Knowing about these supplies and equipment and their corresponding prices helps them prepare for medical emergencies, especially when they are in the medical field or interested to pursue a career in medicine and the like. Many medical things such as bedridden patient supplies are available online and easily acquired. If you have the funds for it, it would be better to have these and other emergency supplies at home, for when you have a sick family member, a bedridden patient or in preparation for an accident or emergency. You never know when you’re gonna these items. So it is better to explore these things now to be better prepared for the future. Although the Philippines has yet to acquire advanced medical equipment for health centers and district hospitals, there are already tertiary hospitals in cities that offer world-class medical procedures and services. This is a great big step in the medical industry for a third-world country such as the Philippines. The improvements in our nation cannot be denied. And the Filipino’s thirst for knowledge is increasing each day. More so when it comes to health and medicine. So, let us learn about the common medical supplies that we are likely to encounter one of these days. Stethoscope – this is one of the most common devices used in the health industry. Doctors and nurses use it to check vital signs and auscultate organs to check their condition. It is recommended to have one at home. The Littmann stethoscope classic III price is at Php6850.00. BP Apparatus – everyone is likely to have encountered a BP app. This device checks a person’s blood pressure for a variety of reasons. Now there are digital BP apps that you can use with just the press of a button. Its price starts at Php1,200.00. Ambu Bag – this is an emergency device which is used for a person who is not breathing. You can get it for Php2,200.00. Nerve Stimulator – the Omron stimulator is priced at Php4,000.00 and is used to stimulate nerves and muscles to relieve tension, pain and other problems. If you want to learn more about medical supplies and get the best items delivered to your home, Philippine Medical Supplies is the best place to explore. Visit Philippine Medical Supplies now. Being a student, whether for a medical career or not, requires familiarity and knowledge about certain laboratory items such as the test tubes and single test tube holder, beakers and more. In high school, you will need introduction to these things in preparation for college. And in college, specific courses will have you dealing with these items on a daily basis. More so when you enter a medical course and get into the medical field. With the countless medical and laboratory supplies used in school and in the medical field, you will definitely need a head start in learning about them, especially if you plan on having a medical career. Subjects in school such as chemistry and physics require passing a practical exam in order to get an average to high mark. Failing these tests is not an option. Practical exams are a prerequisite to graduation. And you will be happy to acquire knowledge from these once you enter your choice of career. So, aside from the lab gown, what are the common laboratory equipment that you need to have and familiarize yourself with? Test tubes and test tube holders – items used for mixing chemicals and monitoring a reaction. Beakers and flasks – used for holding and measuring fluids and chemicals. Petri dish – glass or plastic lidded dish used to culture cells. Portable autoclave machine – a device used for steam sterilizing equipment and objects. 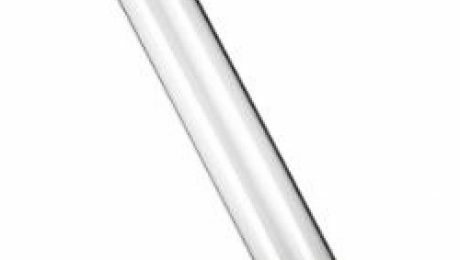 Burette – used for transferring fluids, especially in titrations. These some of the most common items and equipment that students get exposed to in some of their subjects. You will also need to learn how to clean your supplies with Cidex, an effective, high level disinfection solution. Proper and safe use of this disinfectant is needed to achieve sterilization, especially when students use it. If you plan to become a medical technologist, scientist or other science and medical profession, you need not only learn about them but have an in-depth knowledge and understanding of their uses. It would be even better to have your own supplies of laboratory items. And you can get all these at Philippine Medical Supplies. Philippine Medical Supplies is the nation’s top supplier of medical items and equipment. You will find all that you need for your school’s practical exams and for you career from this high quality and hassle-free supplier. Visit Philippine Medical Supplies now. The electric massager Philippines offers relaxation and convenience in just a small device. That is one of the reasons why its use has been steadily increasing. Being able to stay at home and experience the comfort and relaxation of a massage without the need for massage therapists is one thing that many people crave in this fast-paced world. 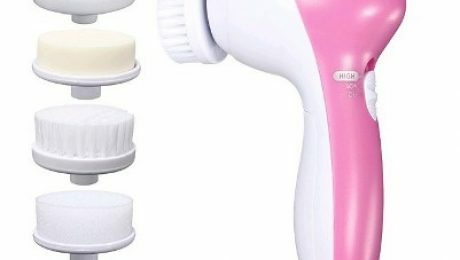 But what is an electric massager? How does it work? Does it provide other benefits aside from relaxation? Let’s learn about this helpful innovative tool now. An electric massager is a hand-held device for self-massage. It provides, soothing or vigorous palpating and rolling actions with different intensities which is ideal for home use or on the go. It eliminates the need to go to spa centers or a massage therapist. What are the benefits of using this modern device? Read on to find out. – It provides relaxation and relief from stress. Electric massagers come in different shapes and sizes and have different levels of intensity that can suit any need. It can even be one of the many bedridden patient supplies because of the benefits it can give to someone confined to the bed. The vibrations produce by the massager definitely provides relaxation and relieves stress on the muscles. – I helps relieve pain. The electric massager is ideal when you’re looking to relieve pain, just like the Omron Stimulator. This device soothes affected nerves and muscles and improve circulation of the blood, thereby relieving pain associated with sitting or standing for too long and other causes. – It is convenient and affordable. You don’t have to go looking for a massage therapist or go to a spa when you feel the need for a massage. By having the electric massager, you can have a massage anywhere, at anytime. Plus, it is an affordable alternative to some massage modalities. With all these benefits, many choose to have the massager at home. But be careful in using this device, though. It is important to understand how the electric massage works and how to use it effectively and safely before using it. Learn about it and the different prices for different styles now, as well as other supplies like the portable autoclave machine. Find the electric massager and medical supplies like the wheelchair, Convatec colostomy and patient supplies at Philippine Medical Supplies, the nation’s top supplier of all things medical. Check them out now. 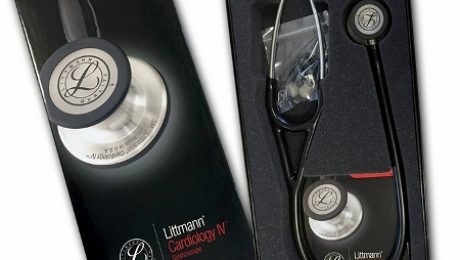 Philippine Medical Supplies is the country’s top supplier of all things medical, where you get to find Littmann Stethoscope Classic III price lower than anywhere else. Moreover, these supplies are all delivered right to your doorstep, hassle-free. With the growing medical industry in the Philippines and more and more people going into the medical field, the need for medical supplies is ever increasing. But people don’t want substandard things to use in their medical career. What’s the use of cheap products when you have to buy another one sooner than you think because the one you bought first is already broken? Instead of saving, you actually spend more. Fortunately, this habit is being replaced with a much more practical one. Investing in high quality materials instead of cheaper ones will help you save more in the long run. However, the best supplies such as the Omron stimulator and other common medical equipment needed by medical students and practitioners aren’t always available. So they make do with what’s on hand. And this isn’t exactly how you want your career in the medical field to go. But now that Philippine Medical Supplies is here, your medical supplies needs will be delivered to you with just a click. Here are some of the top purchases at Philippine Medical Supplies. Philippine Medical Supplies has become the nation’s top medical supplier because of the easy access to hard to find equipment that consumers need. Moreover, transactions are quite easy and with your purchases sent to your doorstep through reliable shipping partners. Whether you need medical supplies for your medical career, for education or for personal and family use, you can count on Philippine Medical Supplies to provide you with the top items. Just check out their website and you will see that their prices are quite reasonable considering their top quality. And feedback on the transactions show why they became the number 1 medical supplier in the Philippines. So find your Littmann stethoscope and other needs priced just right at Philippine Medical Supplies. Visit them today.